Well, I'm trying something new: I'm trying a Blog hop - see the blogs below that share this particular hop with me - check out some of them. 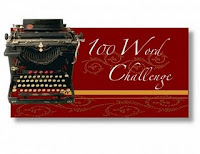 And I'm trying Velvet Verbosity's 100 word challenge. Writing 100 words about a specified weekly topic. This week it's Delicately. My personal challenge is to make it work with the fitness topic of this blog. Too often we make fitness "fierce." High intensity. Lotsa sweat. Go go go. But fitness isn't really about becoming biggest, toughest, meanest. It's being able to enjoy the opportunities of your life. So for just one week, think of the small ways to be kind to your body that will make you more fit: stretch before you get out of bed, take three deep breaths that you visualize traveling through your body before releasing, spend two minutes in a state of shivasana. However you choose, listen to the subtle, delicate strengths of your body. You'll be more fit for it. New findings that show brain-derived neurotrophic factor (BDNF) is “like Miracle-Gro for the brain" were among the very interesting info that came from the American College of Sports Medicine15th Annual Health & Fitness Summit & Exposition in Anaheim. Terry Eckmann, Ph.D., briefed attendees on recent findings, explaining that BDNF helps to grow new neurons in the hippocampus and helps the transmission of information across the synapses of neurons. Fueling these enhanced brain processes, quite literally, are elevated levels of oxygen and glucose which the cardiovascular system – strengthened by exercise – can deliver to the brain. The brain uses about 20 percent of the body’s oxygen and glucose. Scientists have also found that repetitive gross motor movement strengthens the branching of dendrites, which conduct electrochemical stimulation among neurons. “Dendrites receive messages from surrounding brain neurons, and the more dendrites, the more information can be transmitted and stored,” said Eckmann. Recent studies show that students with higher fitness levels score higher on academic tests and show an improved ability to focus. Scientists have also documented the ability of exercise to help prevent dementia and Alzheimer’s disease. You can decide for yourself why, if this is true, athletes aren't the smartest people in the world. In any event, I remembered about 9 a.m. that I wanted to run over there and see how the event was set up, and since it's my day off work at CMT (as if there is really ever a day off when you're in charge of marketing a show that's opening that night), I pulled on my jeans and dashed to the mall. Apparently I got there after the official opening because there was no sign in, registration or even anyone to give me directions but there were some nice people serving snacks provided by the Mall. I asked one of them where I could sign in or find the press person but she gave me an "I don't know" shrug. So I set off in search of someone. Instead I ended up doing a mad dash along the route marked for the mall walkers (they were stopping at various exercise stations so it was easy for me to make a quick loop). I got over to the tables set up by participating organizations. I really enjoyed that. These friendly sort of table-top displays are almost always "manned" by volunteers who really enjoy what they are doing. I found out about some resources that were unfamiliar to me (Bay Area Older Adults and Active over 50). Met a nice man/owner of Beehive Health & Nutrition. The event was clearly not aimed at the Boomer oldsters, or the people 50-65 but to an older crowd, say 66-75. Makes sense I guess but was a little disappointing. Anyway, overall this is a nice event. Sponsored by the City of San Jose and attended by two of the council members (District 1 Pete Constant and District 6 Pierluigi Oliverio) it's a feel-good event that encourages people of all ages to get out, get active. I would have preferred that they had sign ups all along the way for "groups" who wanted to come walk the mall together on specific days. And I truly disliked the company that had a sign saying their free blood pressure and diabetes testing was only for people eligible for Medicare. My only other criticism is that the snacks offered by the Mall were high sugar junky kind of food (now this is really nit-picking considering it was free food). Still, it goes to show how pervasive it is in our culture that cheap fast unhealthy food is an acceptable alternative. Picky, picky. All in all, a nice event. A good time was had by all. Go over to Examiner.com to see a better rundown and some pictures. And happy tax day. I've posted two pieces (so far) about the opening of the AKA (American Kickboxing Academy) Gym at 7012 Realm in San Jose. The Herschel Walker piece includes a video with Walker talking about his faves in MMA now and his take on some of the fighters. The AKA Gym piece is about the opening event itself. Both have slide shows, in an attempt to give a feel for the fun the crowd was having. To be honest, I went to the opening out of curiosity: the PR advance touted it as being innovative (ho hum, I've heard THAT before). I stayed because it was a blast. The event was family friendly, and the families were there by the hundreds. It's a beautiful facility with training rooms on the ground level and a wellness clinic upstairs. I saw some fitness technology I hadn't seen before and talked to some some smart trainers about what they were doing. All in all, I'm not going to say much about it here on Silicon Valley Fitness, because I'm constantly updating my videos, slide shows and articles over on the Examiner.com site. If you're an MMA fan or fighter, go on over to the articles. Post your comments about your experiences at the AKA Gyms or your impression of the opening if you were there. I just posted an article on San Jose Fitness about the new Charged Cotton line from Under Armour. I am intrigued with the Under Armour company - their aggressive, high-energy understanding of the fitness market -- and I have to say that probably influenced my opinion of the product. Whether it was the company's good reputation and skyrocketing growth, or the product itself, I said good things about the product, which I tested over the past week. I'm not a runner, but I'm guessing that after this next marathon season, the Under Armour Charged Cotton line will be well accepted by that community. If you are a runner and feel differently, feel free to say so. I'm just guessing based on the fact that the products don't get soggy, dry fast, but still have a lean, fitted look to it. What happens to the chemistry and/or taste of a dessert recipe when I substitute some other sweetener for sugar? This is the question I put to Connie Guttersen, RD, PhD, and author of the Sonoma Diet, the New Sonoma Diet and the New Sonoma Cookbook. It's one of a series of articles she agreed to, most of them published on San Jose Fitness Examiner. (See those articles at Going sugar free? New Sonoma Diet author says 'Try these sugar alternatives'; and New Sonoma Diet author discusses sugar, alternatives and substitutes. Dr. Guttersen has consulted with a broad range of corporations and Fortune 500 companies on food trends, including Kraft, Nestle, Marriott Hotels, and been a speaker on the nationally acclaimed Harvard Medical School Healthy Kitchens, Healthy Lives program. Among her impressive media lineup, she has been on The View, the Today Show a just to name a few. In solution, sugar has the effect of lowering the freezing point and raising the boiling point of that solution. These are important properties in preparing frozen desserts and candy, respectively. In ice cream, for example, sugar’s ability to depress the freezing point slows the freezing process, promoting a smooth, creamy consistency. In shortening-based cakes, sugar raises, delays and controls the temperature at which the batter goes from fluid to solid which allows the leavening agent to produce the maximum amount of carbon dioxide. The gas is held inside the air cells of the structure, resulting in a fine, uniformly-grained cake with a soft, smooth crumb texture. Honey, molasses, maple and corn syrup are liquid sweeteners. While they do provide sweetness they do not cream well, just as liquid vegetable oils can’t substitute for solid shorteners. Honey, the globally popular liquid sugar produced by bees, is comprised of glucose, fructose, maltose and sucrose. It has a distinctive flavor, is sweeter than regular sugar, and producers moist and dense baked goods. Molasses, a byproduct of refined sugar production, is made up of sucrose, glucose, and fructose as well as small amounts of Vitamin B, calcium, and iron. It is not as sweet as sugar and imparts a dark color and stronger flavor to baked foods. Maple syrup, the sumptuous liquid most famous for sweetening hotcakes, waffles, and French toast, is also very good when baked into cookies, pies, and cakes. Grade B maple syrup has a vibrant flavor conducive to eliciting exquisitely baked products. Press releases can be so interesting: for instance, how else would I have know that hot dog consumption at major league ballparks are on course to serve 22.5 million hot dogs this upcoming 2011 season, up 5 percent from last year. I didn't bother to edit the information...I mean, really, what can you add (or what would you dare omit)? Although stadium menus continue to expand faster than franks on a hot grill, fans still relish the hot dog as their favorite food at the ballpark, according to the National Hot Dog and Sausage Council's 2011 annual report released on Major League Baseball's (MLB) Opening Day. Humphrey Bogart said, "A hot dog at the ballpark is better than steak at the Ritz." How about almost 23 million of them? The Council projects that MLB ballparks around the country will serve 22,435,400 hot dogs this season, enough to round the bases 31,160 times and, if laid end-to-end, would stretch from AT&T Park in San Francisco to Great American Ballpark in Cincinnati. That represents 1.06 million more hot dogs than 2010, or a 5 percent increase, the first increase in three years. In addition, the Council predicts ballparks will sell 5,161,370 sausages this year, more than 227,000 than in 2010, an increase of 4.6 percent. "Major League ballparks today offer some of the most extensive menu and food options of anywhere in the country," said Tom Super, spokesman for the National Hot Dog and Sausage Council. "Yet these numbers once again confirm the hot dog is MVP of stadium concessions. The increase in projected consumption is a positive sign that as our economy slowly starts to turn around, people are heading back to the ballpark to catch baseball games — and to grab a hot dog, of course. The hot dog is a great economic indicator." While the Council can't predict which teams will play in the World Series this year, it can with some degree of confidence, forecast the top hot dog consuming MLB venues. Dodger Stadium, home of the Los Angeles Dodgers, tops the list this year, dethroning two-time champion Fenway Park in Boston. The Council projects that Dodger Stadium will serve two million hot dogs over the 2011 season. This number should perhaps be even higher when you consider one of the stadium's most popular dogs, the Dodger Dog, is actually a foot-long frank served grilled or steamed and topped with mustard and relish. New York's Yankee Stadium, where fans are expected to consume 1.62 million hot dogs this season, finished second in this year's report. On the menu at Yankee Stadium is the classic Nathan's Famous "water dog," served boiled and on a steamed bun. Rounding out the top three is Citizens Bank Park, home of the Philadelphia Phillies, coming in at 1.5 million hot dogs. Fans at "The Bank" nosh on the South Philly Dog, topped with broccoli rabe, roasted peppers and sharp provolone on a crusty Italian roll. Rangers Ballpark in Arlington, home of the Texas Rangers, finished fourth with 1.35 million hot dogs projected. This is up 65 percent from 2010, evidence that a World Series appearance is a great boost to overall sales. Fenway Park, home of the Boston Red Sox, rounded out the top five with 1.33 million hot dogs estimated to be consumed. Although it didn't crack the top five, AT&T Park, home of the World Champion San Francisco Giants, is also expected to see a significant increase —66 percent over last year. Playoff appearances also impact the bottom line —just ask the Atlanta Braves, who posted the highest year-to-year percentage increase (42 percent) of all teams outside of the World Series contenders. Culinary historians note that sausages joined peanuts, popcorn and soda on the concession menus at ballparks sometime in the 1890s. By the early 1900s, the hot dog as we know it today was becoming increasingly popular at public events – boxing matches, fairs, carnivals, horse races – but nowhere more popular than at baseball games. "It made sense," noted Super. "The hot dogs were relatively inexpensive and easy to produce in mass quantities. They're already cooked, so they just needed to be re-heated. And by knowing the exact size and weight of a product and having it available with minimal preparation time, vendors knew exactly how much profit could be made on each item and how many could be sold in a given time. Most importantly, fans loved them – hot dogs were inexpensive, easy to handle and tasted great." When asked what it is about the hot dog that has sustained its popularity for generations, the answer from concession managers was unanimous: tradition. The head of concessions at Miller Park, home of the Milwaukee Brewers, where sausage reigns supreme, acknowledged the unwavering appeal of the hot dog. "While brats are still king in Milwaukee, I think overall, hot dogs evoke a sense of tradition and Americana to the average fan," said Ken Niedermeier, concessions manager at Milwaukee Sportservice. Another reason? It's a favorite at any age. "Hot dogs remain the number one concession because everyone is a kid at a baseball game — young and old," said Mark Null, director of operations for Levy Restaurants at PNC Park in Pittsburgh. And, perhaps most important to those Major League fans hoping to catch a homerun, foul ball or maybe even a kiss on the jumbotron, is the hot dog's functionality. "You can hold a beverage in one hand and the dog in the other. It isn't messy, typically, so no one is afraid to sink their teeth into one," said Joey Nigro, general manager for concession provider Delaware North, Inc., at U.S. Cellular Field in Chicago. Miller Park in Milwaukee, home of the Brewers and the world-famous Klement's Sausage Race in the sixth inning of each game, is projected to serve 900,000 sausages this year, good for a landslide victory in the Council's third-annual sausage consumption survey. Miller Park is the only stadium in Major League Baseball where sausages out sell hot dogs. The Minnesota Twins, who played their first season at the new Target Field in 2010, cracked the top three this year and finished runner-up to the Brewers, with approximately 500,000 sausages expected to be sold. Finishing third, and slipping from number two in 2010, is U.S. Cellular Field, home of the Chicago White Sox, with 345,000 projected in sausage sales. While the hot dog tradition is as strong today as it was in 1900, today's fans certainly have more selections than they did 110 years ago, with stadiums around the country offering signature dogs to hungry fans. Busch Stadium, home of the St. Louis Cardinals, features the St. Louis BBQ Bacon Dog, a bacon-wrapped jalapeno dog served with baked beans, pickles, tobacco onions and sweet St. Louis-style barbecue sauce. A staple at Rogers Center, home of the Toronto Blue Jays is the Homerun Dog, a foot-long hot dog topped with maple baked beans, crumbled Canadian bacon, caramelized red onions and Canadian Cheddar. At Minute Maid Park, home of the Houston Astros, fans flock to the "Most Wanted" dog, topped with beef brisket, BBQ sauce, chopped onions and kosher pickles. At Angels Stadium in Anaheim, a fan favorite is the Halo Dog, an all-beef hot dog wrapped in bacon and topped with charro beans, shredded Monterey Jack cheese and pico de gallo salsa. Although the popularity of the hot dog is unwavering, stadiums still strive to come up with new twists on the old favorite. New this year to Dodger Stadium in Los Angeles is the "Doyer Dog," named for the Spanish-language pronunciation of the Dodgers (Los Doyers). The Doyer Dog is an all beef hot dog loaded with chili, nacho cheese, onions, tomatoes and jalapenos. Also being unveiled this year at Oriole Park at Camden Yards is the Birdland Dog, a new play on the crowd-pleasing Esskay dog, featuring the tastes of Baltimore: smoked pit beef, Little Italy pepperoni hash, stewed tomato jam and crispy fried onions. Nestled in a fresh baked bun, it's a hot dog that eats like a meal. New to Great American Ballpark, home of the Cincinnati Reds, is the Meat Lovers Hot Dog, a jumbo hot dog wrapped with bacon and deep fried, then topped with beef and black bean chili, shredded pepper jack cheese and crispy salami. Rangers Ballpark in Arlington is expanding its offerings from Nolan Ryan Guaranteed Beef available at the ballpark to include hot dogs and sausages. Selections will be served on a potato bun and topped with gourmet condiments. A new addition for 2011 to the "Say Hey Sausage" location at San Francisco's AT&T Park is a California-sourced, low-fat apple chicken sausage. Staying out West, at Seattle's Safeco Field, you can get the "Hit It Here Dog" a bacon wrapped, jumbo, all- beef hot dog topped with pulled pork and Washington apple-habanero pepper relish. And Miller Park will for the first time feature a racing sausage shish-ka-bob, with a cut of each of the five Klement's Sausage Race participants — the bratwurst, Polish sausage, Italian sausage, hot dog and chorizo. As the economy slowly recovers and food prices remain high, many ballparks across the country continue to offer specials like "Dollar Dog Nights" or all-you-can-eat package deals. But the Philadelphia Phillies and Hatfield Quality Meats are taking it even a step further in 2011. Hatfield, the hot dog and sausage supplier of the Phillies' Citizens Bank Park, is building upon the success of their "Home Runs Against Hunger" program, which was initiated last year. For every Phillies home run hit, 100 pounds of product will be donated to Philabundance, a local food bank. Now that's something we can all root for.